Snook are coming back in numbers as well as size and they are starting to creep out from their winter time haunts. Mangrove points, halfway between their back country winter hideouts and their summer spawning spots, are where the bruisers are hanging out at. Hit these spots on a good outgoing tide with some scaled sardines and game on! 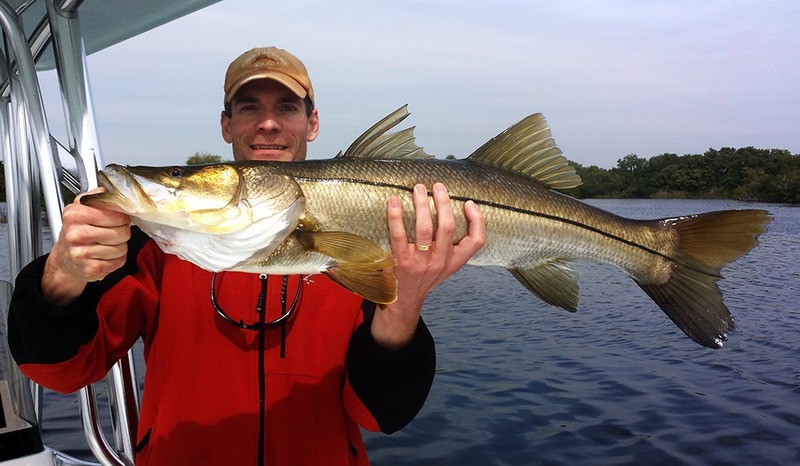 Even though the snook are showing a tremendous rebound, Sea Trout are stealing the show. As with every early spring, the Sea Trout bite in Port Richey and Tarpon Springs is of the chain. Fish from 2-4 pounds are average but a fish up to 6 pounds isn’t uncommon at all. They too love scaled sardines. Redfish have been hit or miss. One day they are there, the next they are not. When we do get into them, they have been averaging in between 4 and 6 pounds. If you’re looking to go on a Tampa Bay area fishing charter. Don’t wait… dates are filling up. I’ve only got a couple of dates left open for March and April if filling up too. Don’t forget that tarpon season is just around the corner. The best dates fill up fast so don’t miss out!